TiVo already has an impressive lineup of internet apps on their DVRs but the offering just got a little more musical thanks to Pandora. 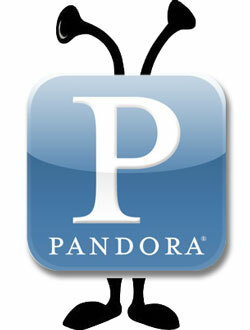 Nearly all of Pandora’s trademark features including access to the Music Genome Project is available in the app. Users can thumb up or down artists and create personalized radio stations on the fly. Existing Pandora users can sign into their accounts or new accounts can be created via an on-screen interface — no computer required. Pandora is just the latest app to hit the TiVo Premiere platform. It joins other music apps such as Rhapsody, Live365, Music Choice as well as Netflix, BlockBuster, and YouTube. It clearly signals that TiVo is commented to adding killer applications to their devices although this update is probably the first of many that passes-over older TiVo boxes such as the Series3 or HD line. The company moved to something totally different with the Premiere and the older platforms might not get all the goodies as the new model. Oh well. I guess it’s time to upgrade. ALVISO, CA–(Marketwire – September 20, 2010) – TiVo Inc. (NASDAQ: TIVO), a leader in advanced television services, including digital video recorders (DVRs), today announced the availability of personalized internet radio service Pandora on all broadband-connected TiVo Premiere boxes. The launch of the Pandora application is yet another example of TiVo delivering on the promise to bring the best of cable, movies, web and music, all in one box. Pandora gives people music they love through personalized radio stations, created instantly from a single song, artist, composer or genre ‘seed.’ Simple thumbs-up and thumbs-down feedback quickly refine stations to each listener’s taste. The Music Genome Project®, a deeply detailed, hand-built musical taxonomy, powers Pandora’s personalization — using musicological “DNA” and constant listener feedback to craft personalized stations from a growing collection of hundreds of thousands of recordings. On TiVo, consumers can create a new free Pandora account, or sign-in with existing Pandora accounts to seamlessly and immediately enjoy their current stations on the television set. Users can also access Pandora stations created on TiVo on any other platform where they listen to Pandora, including PCs and smartphones and other connected devices. Pandora joins TiVo’s current musical lineup of Rhapsody, Live365, Music Choice and songs connected from a PC or Mac music library*. To learn more about Pandora on TiVo visit www.tivo.com/pandora. * To stream songs connected from a PC or Mac, you will need TiVo Desktop software for PC or TiVo Desktop software for Mac. TiVo Desktop software is not required to use Pandora, Rhapsody, Live365 or Music Choice.